The third installment in a series of popular, open-world futuristic action games. 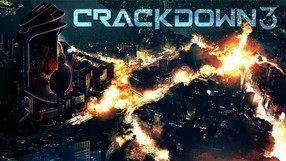 Crackdown 3 introduces the franchise to the eighth-gen consoles. The game was created by Cloudgine – a British studio led by David Jones, who is the father of the series. Similar to the previous installments, the player is taken to a futuristic city of an open structure, assuming the role of a futuristic officer of the law who faces organized crime. The player has a wide variety of cutting-edge weapons and parts of equipment at their disposal, though in terms of the mechanics, the game follows the successful patterns of the predeceasing titles. As usual, the story campaign is an open-world experience here and it can be played in the co-op mode as well. Action game with open world and cooperation mode. We move there to a futuristic city, dominated by corporations and hordes of people infected with a mysterious virus. Production put emphasis on freedom and spectacular combat scenes. On our own or in cooperation mode, we travel through a huge city, go through smaller missions and struggle with more and more difficult enemies.